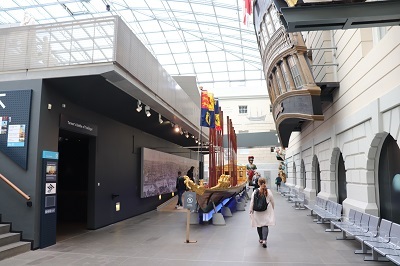 The National Maritime Museum is located within the historic buildings that form part of the Maritime Greenwich World Heritage Site and is run by Royal Museums Greenwich which comprises of the Royal Observatory, Cutty Sark, National Maritime Museum and Queen’s House. 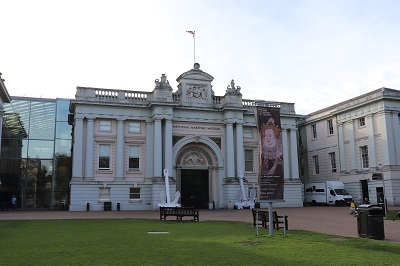 Greenwich has been the home to a naval-based art gallery since the early 1800s, however the idea for a National Maritime Museum goes back to the 1920s, when a public appeal was launched to develop a ‘national naval and nautical museum’. Sir James Caird purchased the A.G.H. Macpherson Collection of over 11,000 maritime prints, along with ship models and many other items, to help begin the Museum’s collection. Over a decade later, the National Maritime Museum was opened by King George VI in 1937 and now holds some of the most important items in the world on the history of Britain at sea, including maritime art, cartography, manuscripts, official public records, ship models and plans. In the last ten years, more gallery spaces have been added and a new library and archive has been developed. 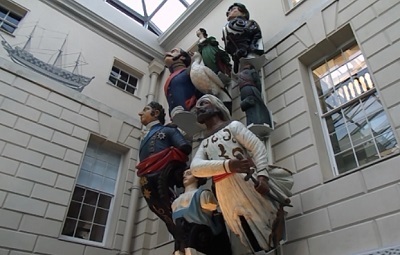 Highlights of the ground level area are the remarkable collection of figureheads from the late 17th century until the early 20th century, the stern gallery of HMS Implacable, a full size Type-23 frigate propeller and the lavish 20 metre The state barge built for Frederick, Prince of Wales and launched in 1732. 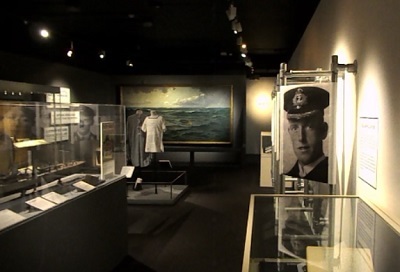 On the ground level is the Jutland 1916 gallery which was opened to mark the centenary of the Battle of Jutland, the largest sea battle of the First World War. Also on this level is J.M.W. Turner’s largest painting of The Battle of Trafalgar, 21 October 1805, which is one of the highlights of the museums art collection and the Voyagers gallery which tells the story of Britain and the sea and Maritime London. 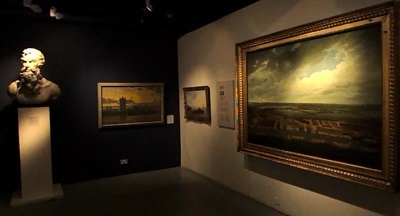 Moving up to other levels, there are series of galleries and displays including the Nelson, Navy, Nation gallery which explores the life and times of great British hero Horatio Nelson and the history of the Royal Navy and British people from 1688–1815. 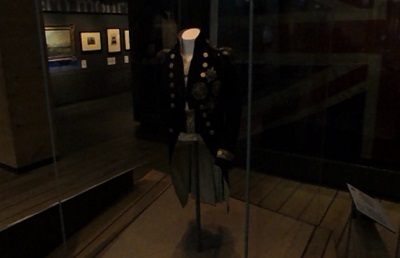 One of the highlights is the actual uniform Admiral Nelson was wearing when he was fatally wounded at the Battle of Trafalgar. 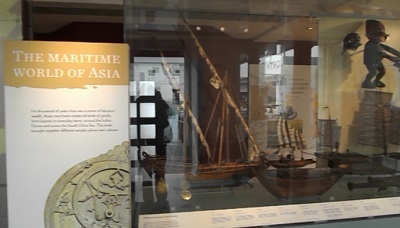 Visitors can find out about Britain’s maritime trade with Asia in the Traders: the East India Company and Asia gallery and find a moments peace in the beautiful Baltic Exchange Memorial Glass gallery which commemorates World War I dead. The museum has opened four new galleries from September 2018, Tudor and Stuart Seafarers uncovers stories of adventure and piracy, ambition and greed. Polar Worlds discover the challenges of extreme environments. From Arctic and Antarctic exploration to the impact of climate change on human lives. Pacific Encounters voyage to the world’s largest ocean and hear hidden histories of exploration and exploitation. Sea Things explores more personal connections with the sea with a series of personal stories. 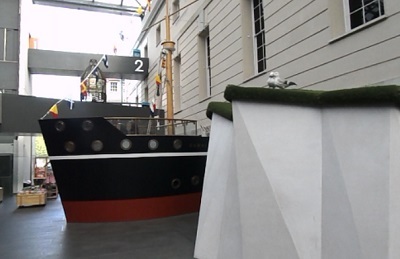 The museum attracts many children and families with its AHOY! 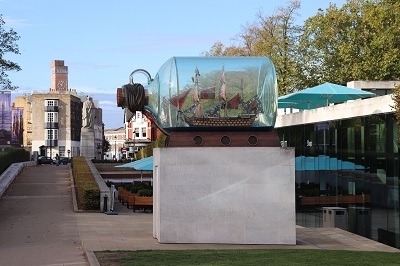 children’s gallery and you can enjoy food and drink in the Parkside Café and Terrace which features the popular Yinka Shonibare’s replica of Nelson’s HMS Victory in a bottle. The National Maritime Museum is one of the top free museums in London and is often visited by those who wish to explore the many delights of historic Greenwich. The museum has in recent years worked to show their remarkable objects in a way that they illustrate particular stories and events. 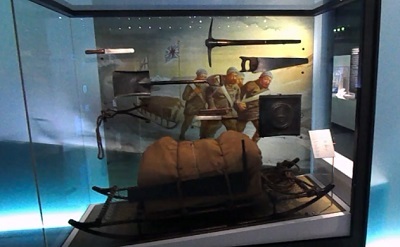 This very popular museum has been innovative in the way it uses historical objects and multimedia to tell the fascinating story of Britain’s maritime past. By londonvisitors2014 in Greenwich, London Attractions, Museums and Art Galleries of London on November 2, 2018 .